Contact | ECIR Group, Inc. 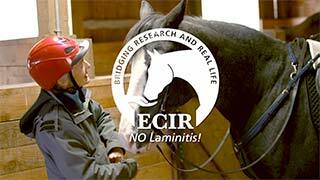 If you are here because your horse is laminitic please join the ECIR Group outreach at groups.io for immediate help from senior volunteers. It's free. Equine Cushing’s and Insulin Resistance Group Inc. Please support the ECIR Group Inc.
What we do, how and why. © 2019, ECIR Group Inc. and Eleanor M. Kellon, VMD, All rights reserved. All photos are ECIR group member equines.